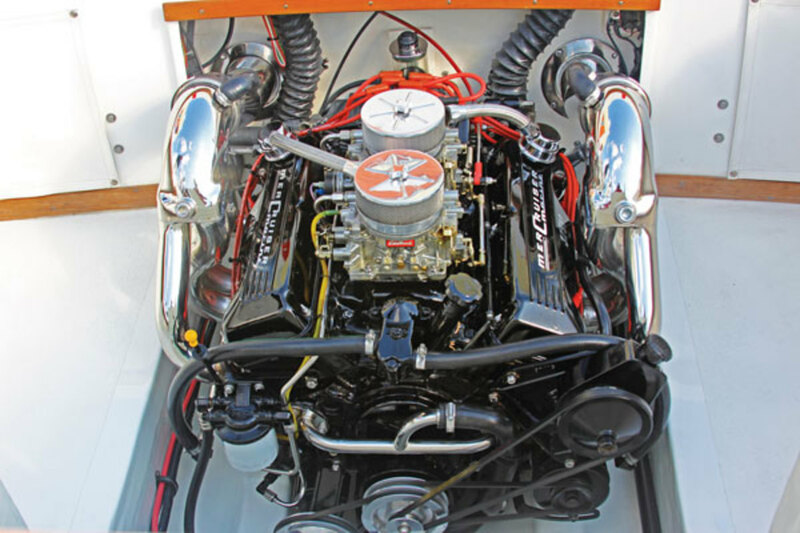 The annual Vintage Weekend at Key Largo’s luxurious Ocean Reef Club is a gathering of impressively restored boats, cars, and planes on display. And normally that’s more than enough to wow the crowd—but this year there was a surprise. The entries in the nautical arena included the likes of a former presidential yacht from the ’30s, not to mention classic Trumpys, Chris-Crafts, Burgers, and Ryboviches lining the piers. All had their mahogany and teak varnished to a syrupy brilliance, their brass polished to a sparkle. Brilliant crystal ornamented the tables. But the truly knowledgeable—the cognoscenti—among the boating visitors bypassed these opulent offerings and made a beeline to one boat, where they stood in awe, discussing her amongst themselves in hushed tones. What was this diamond among the jewels? A small white plastic boat. 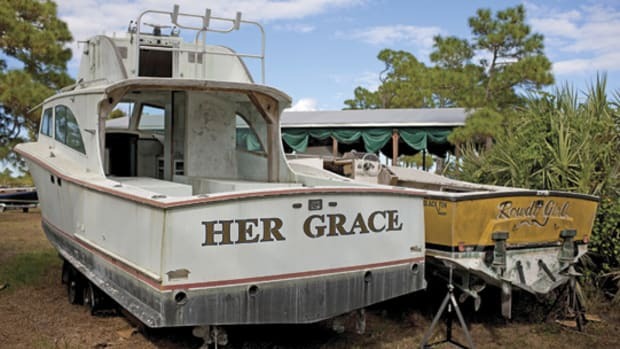 When one thinks of classics in the boating world, the word conjures up acres of varnish and a pedigree dating back to the early 1900s. This boat had barely enough wood to make a respectable cutting board. 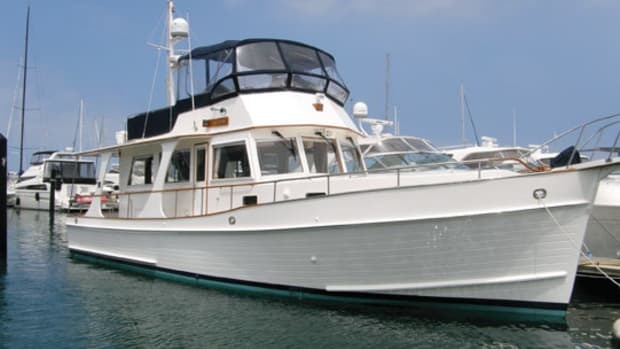 She was built just 50 years ago in 1963 and—egads!—she’s fiberglass. So what was this magnet that caused such a stir? 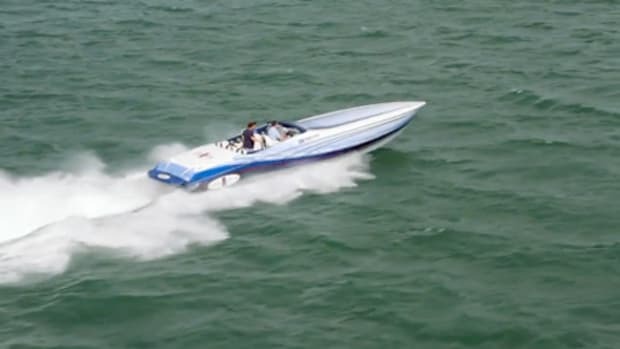 She was The Cigarette, a Formula 233 that was the debut fiberglass boat from Don Aronow’s first company, Formula Boats. 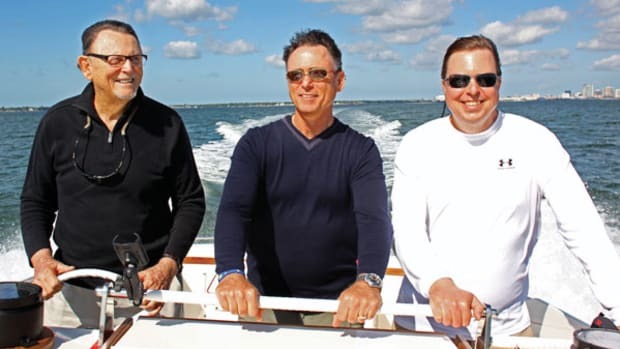 Aronow, a wealthy real estate developer, had retired to Florida as a 33-year-old millionaire, where he was bitten by the offshore-powerboat racing bug. 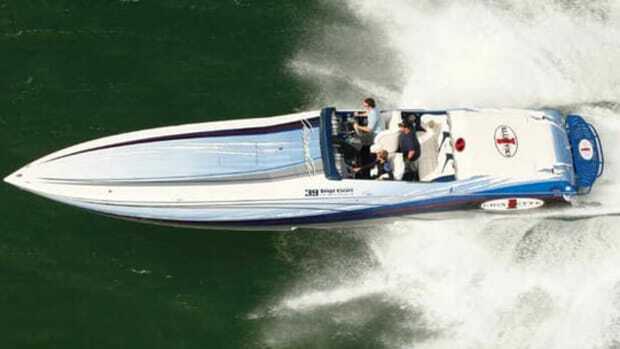 He entered a wooden raceboat in the 1962 Miami-to-Nassau Race but, after seeing a 17-foot racer co-designed by Jim Wynne (inventor of the sterndrive) and Walt Walters, he hired them to design a larger, fiberglass version. The company was intended as a thinly disguised tax shelter for Aronow’s racing ambitions and there are two versions of the naming. The first is that when Wynne and Walters were discussing the plans with Aronow, he would ask them a technical question and one of the two designers would answer, “You know, there’s a formula for that.” According to Aronow’s son, however, the name was chosen because the combination of designers Wynne and Walters with fiberglass builders Buddy Smith and Jake Trotter was the “formula” for success. I like both choices. The first hull out of the mold was a prototype, but Aronow grabbed the first production hull for racing, following the Detroit precept that “what wins on Sunday, sells on Monday.” He named her The Cigarette in honor of a successfully fast Prohibition-era rum runner of that name from his native New York. 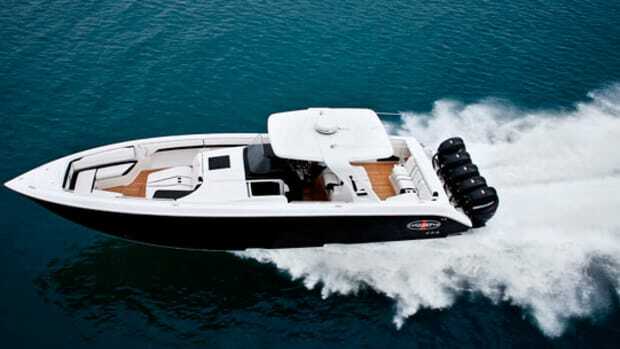 Entered in the Miami-to-Key West race, he proved the boat by winning his class, and actually finishing second overall to a much larger and more powerful racer. 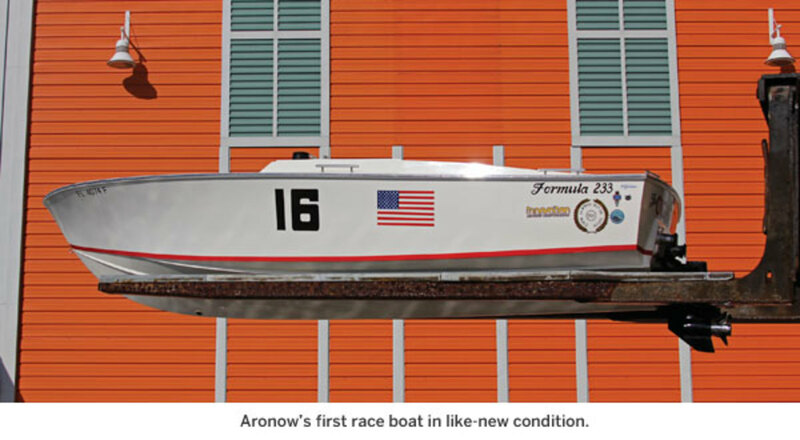 The boat, bearing Aronow’s lucky race number and The Cigarette name on the stern, returned to the shop and Aronow moved on to larger projects. Other 233 racers followed, however, with Wynne winning the Miami-Bimini-Miami race in a sistership. 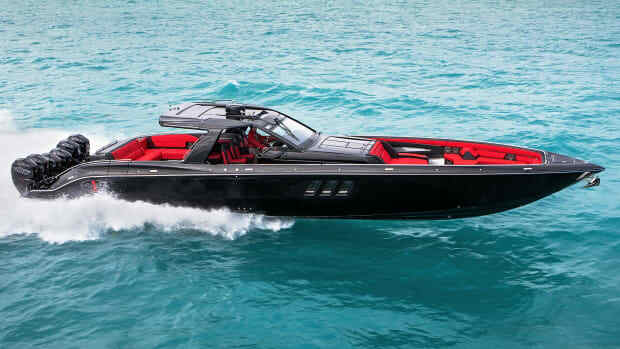 The Formula 233 proved very successful, with production lasting more than 20 years and hundreds of boats. And, over the years, one editor noted that he could identify more than two dozen other boats built with lines stolen from the popular 233. So where was The Cigarette, and how did it languish for so long before becoming the classic “barn-find” so cherished in the world of automobile restoration? Aronow had sold The Cigarette to another budding racer, George Peroni, a few months after that first race. The boat carried a list price of $8,600 but, because Aronow had raced the boat, he discounted it to $6,090. 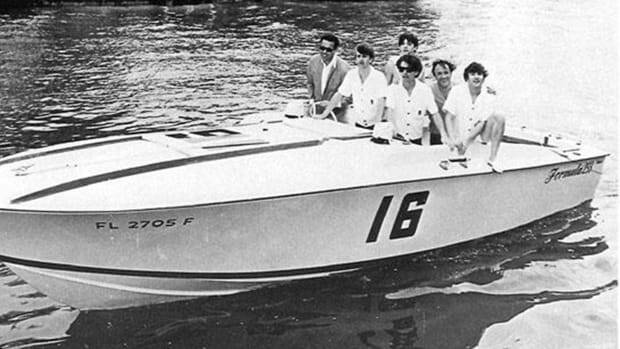 Shortly after the sale, however, Aronow called Peroni and asked to borrow the boat back for an afternoon, saying he had “some guys who want a ride in a fast boat.” Peroni loaned him the boat, and Aronow used it to take The Beatles out for their first speedboat ride just as they were about to become insanely famous in America. Peroni eventually changed the boat’s name to Empirical and raced her from 1964 until 1972, filling his shelves with silverware including an overall win in the Gateway Marathon from Palm Beach to Grand Bahama and back. In the Gateway, he drove alone, standing for the entire three hours! 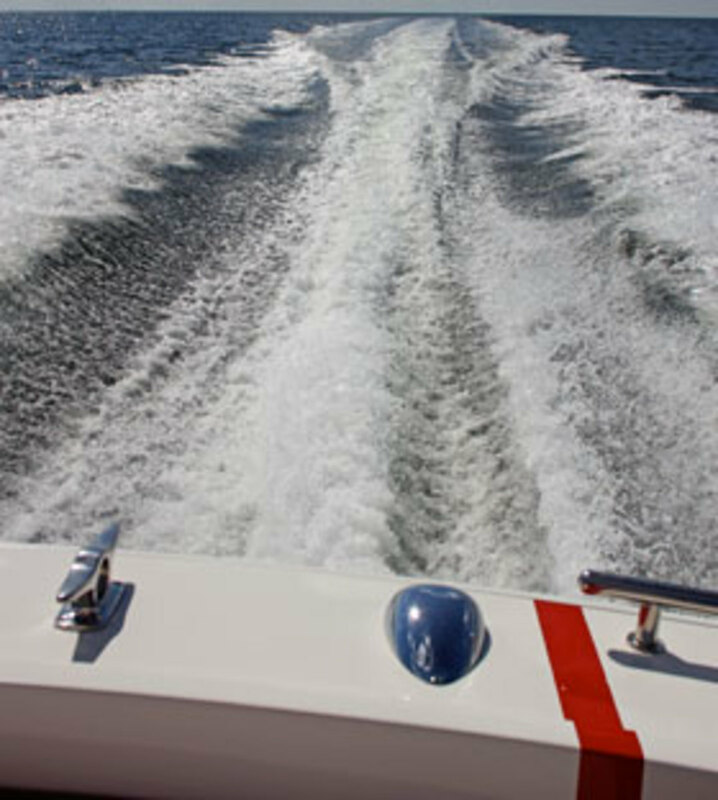 But ocean-racing equipment and speeds soon left the Formula behind and the boat was retired to family use. At one point, Peroni and his son decided to restore it, but tragedy struck first when his son was killed in a car accident. The boat was put in the backyard under a canvas cover and there it remained for decades. Fast forward nearly 40 years from 1963 to 2002, when Bob DeNisco, Sr., visits his old friend, George Peroni who, along with Jim Wynne, had all gone to high school together in Miami and remained close over the years.